These bean-filled vinyl sacks (miniature kick balls you keep from hitting the ground) test the agility of young and old alike! Designed to look like a basketball. 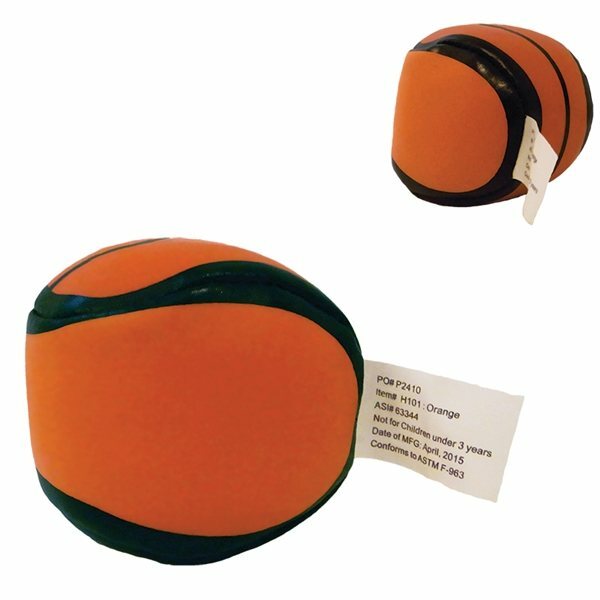 Great for playing hackey sack, juggling or use as a stress reliever. the students were very happy and enjoyed them. You can't beat the price and the customer service. AnyPromo is HIGHLY RECOMMENDED! A+! Thanks for everything. Great product for any great cost. I rarely write to thank vendors for their product and service,and I was so impressed with the entire purchasing experience that I did just that. AnyPromo is outstanding. It was exactly as represented. Rosa was very helpful in getting the matter resolved and in finding answers to my questions. Thanks! the quality of the product and the printing were both excellent. Veronica really worked with me to get the graphic look I wanted easily and on time.